specializing in organization effectiveness consulting in the following areas: strategy, translating strategy into action, business planning, alignment of people to strategy through performance engagement sessions and incorporating the balanced scorecard, change & diversity management, leadership development. He has also partnered with clients in assisting them with processes relating to people development, coaching of line managers on people management. George has consulted in and worked in various industries including rail, water sector, finance, travel, logistics, health, retail, manufacturing and state owned entities. Entities he has done work at include: Eskom, Rand Water, Swaziland Beverages, Toyota Malawi, Foschini, Transnet, Johannesburg Zoo, Diebold, World Bank, Komati Water Basin Authority (KOBWA) to name a few. Armed with an MBA, George is dedicated, committed and delivers on projects and targets. He also crafted Thebe Investment Corporation’s 5 year HR strategy and business plan which is in operation at the moment. As part of community development, George has also facilitated and contributed to the strategy of MC Weiler school located in Alexander in partnership with Thebe Health Group. 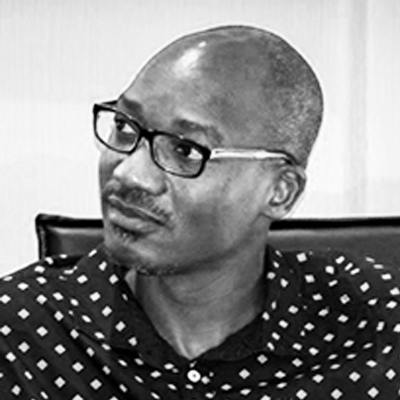 Within Thebe Health Group, George has participated in the company strategy formulation as part of the executive committee (EXCO) of the company. This includes crafting and rolling out the HR strategy for Thebe Health Group and aligning to the overall company strategy. The company uses the balanced scorecard. George has also facilitated business planning with departments aligned to company strategy. He has also run performance engagement sessions with employees that ensure alignment of job profiles to the strategy as well as clarity of employees’ role in strategy delivery. Having worked as a Group HR Executive and presented to various boards, George understands the importance of strategy and governance to a company. He was a consulting member of ITISA for over 12 years, prior to moving to corporate and returned as a partner in ITISA in 2016.